Wireless charging as we know it has never really been very wireless. Sure, it hasn’t required us to plug-in our phone to charge, but it has required contact between two devices (one of which is plugged in) in order to push current. What if that wasn’t the future, though? What if the future of wireless charging just asked that you be within a range of a transmitter that could top off your battery or keep it charged at all times? That future reached a major milestone today. 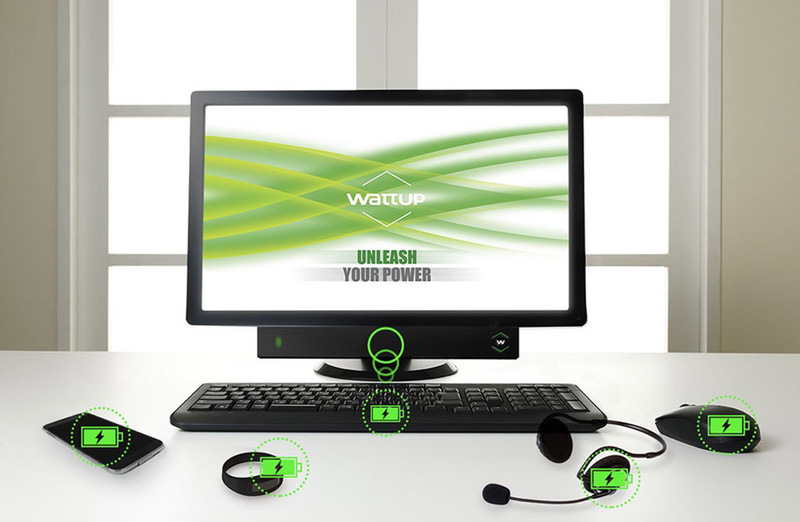 A company called Energous has created a product called WattUp. WattUp is what I would call a true wireless charging solution that works at a distance, without contact. We’re talking about them today because Energous received the industry’s first FCC certification for their over-the-air, power-at-a-distance wireless charging tech. This is huge! How does WattUp work? It’s pretty simple really. My best example would be to tell you to think about your current WiFi router. WattUp works similarly, in that you would have a WattUp transmitter in your house that would send an RF (radio frequency) signal to a receiver in your phone, tablet, wireless earbuds, smartwatch, keyboards, mice, etc. That signal is capable of powering up your battery using “energy packets” within varying distances depending on the transmitter. Today, Energous specifically received FCC certification on their WattUp Mid Field transmitter that can charge devices at up to 3 feet. Energous says that with their technology, you could control charging through an app, see the connection strength of each device, set a preference over which devices are charged first, stop charging when your devices reach 100%, set charging times, and even have something charge automatically when it’s nearby. This wireless charging tech, which they are calling Wireless Charging 2.0, can do both power-at-a-distance and contact wireless charging. The goal going forward from Energous is to get WattUp built into technology. We’ll need transmitters and receivers in everything if we want this to become a big part of our lives. They’ll aim to get transmitters in the bezels of computer monitors, soundbars, smart speakers, TVs, smart lighting, and other electronics. What do you think? Does this sound like the wireless charging future you always dreamed of?